My research interests are stylistics, narratology (particularly possible worlds theory) and digital literature and throughout my work, I develop systematic approaches for the analysis of (mostly digital) fiction. I am particularly interested in the use of the second-person in digital fiction and also in what are known as ‘unnatural narratives’ which are (print and digital) texts that present physically or logically impossible scenarios or events. I am a member of the AHRC-funded Digital Reading Network which aims to provide new approaches and insights into digital reading practices (PI: Dr Bronwen Thomas, Bournemouth University). I acted as Principal Investigator for the Digital Fiction International Network (funded by The Leverhulme Trust from Jan-Dec 2009), an international research collaboration aimed at providing an arena for scholars to work together on integral theoretical and analytical issues within digital fiction research. My most recent publication is a collection of essays with Dr Astrid Ensslin (Bangor University) and Dr Hans Rustad (Hedmark University) entitled Analyzing Digital Fiction (Routledge 2014) which offers a range of narratological, stylistic and semiotic approaches for the analysis of digital fiction. For more information, please go to my institutional homepage, or follow me on Twitter @AliceBellTweets. My research is primarily in Creative Writing and Digital Media, as I conduct practice-based research into how digital composition and digital devices affect the writer’s process and the narratives we experience through digital means. My current research centres on the use of the hyperlink in e-books, as well as hybrid publishing in both academic and creative work through the developing Wonderbox project. 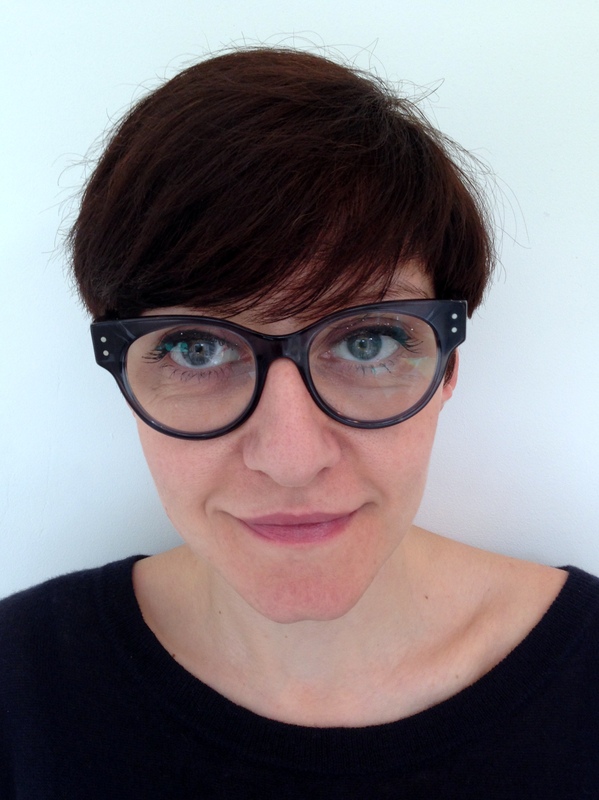 Previous projects include work with Astrid Ensslin on ‘Computer Gaming Across Cultures’ (British Council) and ‘Transformative thinking: Using digital fiction as a tool for improving body image’ (Welsh Crucible). I teach workshops in Digital Writing and Digital Publishing (see the RDF workshops schedule), and in conducting Practice-based Research. My recent publications include articles in Convergence, Qualitative Inquiry, and Participations. For more on me and my work, visit my website and follow me on Twitter @lskains. Project Partner (and previous Co-I) Prof. Astrid Ensslin, University of Alberta, Canada. My main research interests are in the field of Digital Humanities, in particular digital culture and communication. My current research revolves around electronic literature (esp. digital fiction) and literary computer games, and in the past I’ve also looked into virtual worlds, language ideologies in the (new) media and specialised language corpora. I’m currently Investigator on three externally funded projects: ‘Reading Digital Fiction’ (AHRC), ‘Computer Gaming Across Cultures’ (British Council) and ‘Transformative thinking: Using digital fiction as a tool for improving body image‘ (Welsh Crucible). My main publications include Literary Gaming (MIT Press, 2014), Analyzing Digital Fiction (Routledge, 2013, co-edited with Alice Bell and Hans Kristian Rustad), The Language of Gaming (Palgrave, 2011) and Canonizing Hypertext (Continuum, 2007). I am Principal Editor of Journal of Gaming and Virtual Worlds and Board member and International Chapter Officer of the Digital Games Research Association (DiGRA). For more information, go to my literary gaming blog or or my institutional homepage, or follow me on Twitter @AstridEnsslin. My research interests range across English and Information Studies, and I am particularly keen to apply empirical methodologies to literary works, such as digital fiction. My Ph.D. (in English at the National University of Ireland, Galway) involved a sociologically inspired field study of artefact books in art, craft, text, and publishing; my M.Sc. (in Electronic and Digital Library Management at the University of Sheffield) featured quantitative and qualitative analysis of user evaluation data. I have previously worked on PATHS (Personalised Access to Cultural Heritage Spaces), an EU/FP7-funded project to create a new user interface for Europeana, and RDMRose, a JISC-funded project to develop training materials on research data management for librarians. I am also a librarian in the Research Services Unit at The University of Sheffield. My research interests are in stylistics, discourse analysis, cognitive linguistics, and the intersections between these. My PhD (from the University of Sheffield) offered a cognitive discursive approach to the study of linguistic identity and focused on how settled Chinese migrants to the UK and British-Chinese people narrated their life experiences and constructed their identities discursively. I also have an interest in digital fiction. My MA dissertation concentrated on digital fiction and multimodality. For the Reading Digital Fiction project, I am particularly keen to provide qualitative insight into readers’ narrated experiences of digital fiction, and to further explore some of the more recent digital fiction apps that have been developed. The ontological fluidity between the fictional world and the real world that many digital fiction texts seem to create is particularly fascinating to me. I am also the Books Review Editor and Editorial Assistant for the Journal of Politeness Research, and Editor of the new Journal of Language and Discrimination (to be launched by Equinox in 2017). I furthermore contribute to Discourses of Marriage Research Group, and the Benefits Street Research Project. For more information, please go to my institutional homepage, or follow me on Twitter @isabellevdbom.